The Fellowship was fortunate enough to obtain a copy of ROBOCOP: CITIZENS ARREST #1 from BOOM! Studios. The story is written by Brian Wood; with art by Jorge Coelho, colors by Doug Garbark, and lettering by Ed Dukeshire. 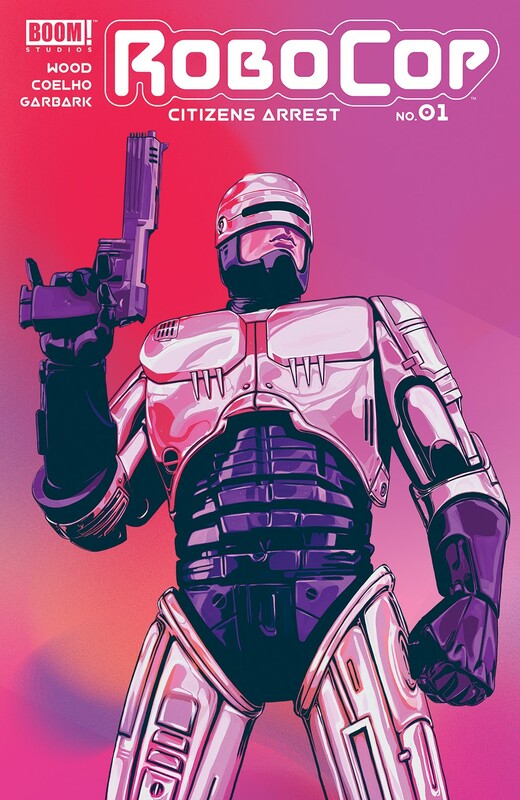 Robocop is back in a rather interesting offering from BOOM! Studios. Wood stays faithful to the source material while expanding the corruption and adding the technology that has come about since the original story (mobile apps, drones, etc.). Jorge Coelho, Doug Garbark and Ed Dukeshire provide a rather unique visual to the tale; I like what I am seeing here. New Detroit is in a very dark, scary place and needs its knight in shining chrome to return. Check this book out. ROBOCOP: CITIZENS ARREST #1 is in stores now or available at www.boom-studios.com.